This tree appears to be lush, dark green and healthy. 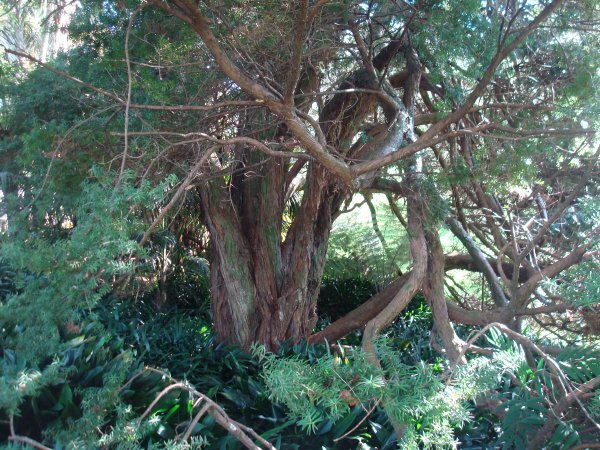 It seems that there may be several trunks that have fused over time, forming one larger, central trunk. 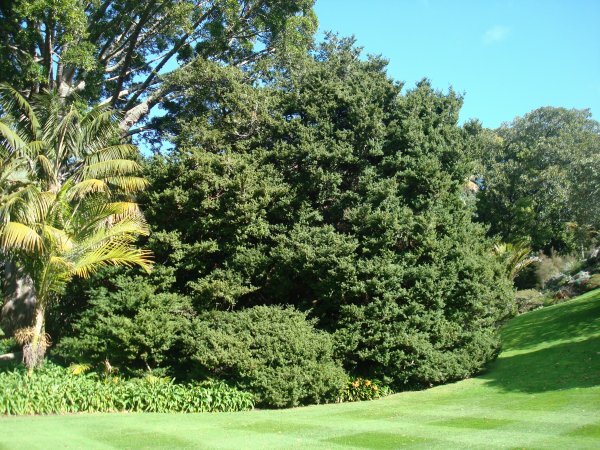 It is growing beneath a large Agathis robusta which seems to be shading in on one side. 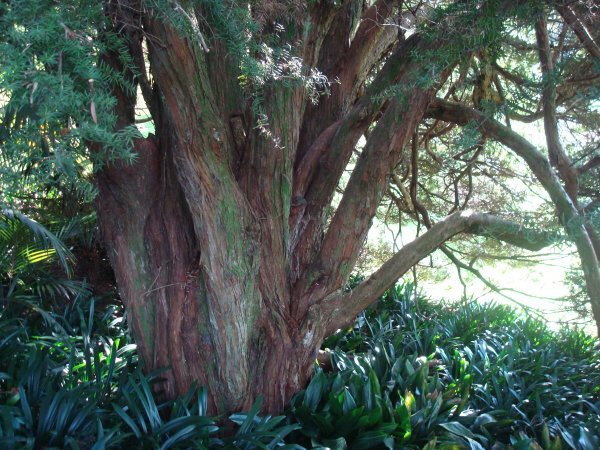 This tree can be found on the south end of the Mappin Lawn.